Cloud Expo Asia is the biggest and best attended cloud industry event in Asia. 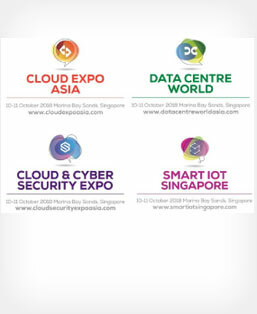 The award winning event is co-located with Cloud & Cyber Security Expo, Big Data World and Smart IoT Singapore and Data Centre World, Singapore. In 2017, Cloud Expo Asia and the co-located shows welcomed over 14,000 delegates from across the cloud, security and data centre ecosystems, the free-to-attend event saw a world-class line-up of over 350 international suppliers and shareholders, as well as an impressive 300 influential industry experts speaking on the very latest trends and challenges in the evolving IT landscape. The event will be held on 10-11 October 2018 – Marina Bay Sands, Singapore. Singapore Pavilion Eligible Singapore registered companies who exhibit under the Singapore Pavilion led by SGTech will receive iMAP funding* from Enterprise Singapore. Interested exhibitors, please contact Ms Jezerie Lan at +65 6325 9710 or jezerie@sgtech.org.sg. Copyright 2016 Singapore infocomm Technology Federation ( SiTF ). All Rights Reserved.